In March 2014, Mark Niebylski took over as CEO of the World Hypertension League, a group that works with organizations all over the globe to help people get their blood pressure under control. The timing is significant because about a month into the job he realized he was a month away from World Hypertension Day. As far as "Days" go, awareness of this one was pretty minimal. Niebylski knew the same was true about his group. Still, he wanted to take advantage of this opportunity. So he set a goal of offering 100,000 blood pressure screenings and he challenged member organizations to make it happen. Events were held at soccer games in Argentina and baseball games in Japan. Devastation-wracked communities in Bangladesh, Haiti and Ukraine participated. In all, 37 countries took part, generating more than 500,000 screenings. Awed by the results, Niebylski cranked up his goals for 2015. He wanted 1 million screenings. "My email was blowing up," he said, laughing. "Somebody might report screening 50 people. Then I'd get another reporting 280,000! It was amazing." World Hypertension Day is May 17, and I'm proud to say that my organization, the American Heart Association, is among those spreading the word. I hope you will take part to help Niebylski meet this year's goal of 3 million. Of course, the most important numbers are each individual's blood pressure numbers, which is why Niebylski's campaign is so crucial: Simply knowing those numbers can lead people to treatments to improve and extend their lives. High blood pressure, or hypertension, has no symptoms but can be devastating. It elevates risk for heart disease, stroke, kidney problems and other debilitating conditions, and there's a domino effect of one leading to another. Scarier still, research show that 80 million Americans have hypertension; the most recent Global Burden of Disease Study found that increased blood pressure caused an estimated 10.3 million deaths in 2013. Research in this area is ongoing. In September, I wrote about a landmark study that offered evidence that everyone should aim for a reading of 120/80 rather than the 140/90 that many people target. Heart disease and stroke are the top two killers in the world. If more people controlled their blood pressure, we could make a dent in that. And that is precisely what Niebylski and the World Hypertension League are trying to do. Roughly 63 organizations from 45 countries are part of the WHL. Despite the vast reach, the infrastructure is basically Niebylski, one part-time employee and an army of volunteers such as its president, Dr. Daniel Lackland of the Medical University of South Carolina, past president Dr. Norman Campbell of the University of Calgary, and office-holders from China, Sweden, Argentina, Cameroon and Bulgaria. "We are connected to the brightest minds in the world," said Niebylski, who worked in disease management for the National Institutes of Health, the Henry Ford Health Systems and the state of Montana before taking on this role. In the science world, the organization's biggest role is publishing the Journal of Clinical Hypertension, a peer-reviewed monthly publication. The WHL hopes to reach more people through World Hypertension Day. After all, beyond the screenings on May 17, the real objective is getting people talking and thinking about it -- such as you reading this article. "Awareness is absolutely where it starts," Niebylski said. WHL started World Hypertension Day in the 1990s. To the best of Niebylski's knowledge, the biggest promotion was an art contest among elementary students. Screenings were more a logical connection and the WHL went beyond just encouraging countries to hold them. The secret was teaching people how to run them. As an organization made up of organizations, it's fitting that the WHL took on the role of training the trainers, with materials provided in four languages. "A Boy Scout could do it, but you have to go through the training," Niebylski said. "You don't want people standing when they're tested. You have to have the right cuff. How many times do you do it? How do you report it? There must be a standard mechanism." There's also the teaching component. Don't just give people their numbers, teach them what each means, and what they should do next to get or keep them under control. "We really, really try to enhance understanding of dietary salt," he said. "There's no magic pill, no silver bullet. The answer is information. People need to know they are at risk. If you can get more people aware, you are helping them and their family. They are going to be buying more fruits and vegetables." The WHL has created a template that allows organizations to create a simple fact sheet customizable to their country that shows how their nation compares to the global rates in areas such as hypertension, life expectancy and causes of death. This is important because Niebylski's target audience includes many countries that are less developed and many people there have less access to basic information. Niebylski knows awareness campaigns work. For example, Canada made it a national health priority and statistics show it's made a big difference. Kaiser Permanente Northern California took it on in 2001 and by 2009 patients went from 11 percent below the national average to 16 percent above; it's worth noting that the national average went up in that span, too, making the spike even more impressive. Time and resources are obstacles for everyone. It's tough for organizers -- big and small -- to commit to holding an event. It's tough for participants to take part. It's tough for them to make the changes needed to get their numbers under control. "We know that if we do 100,000 screenings, we're going to pick up at least one case of a life-threatening problem," Niebylski said. "One woman called to thank me for having World Hypertension Day because screeners discovered she was having a prolonged heart attack. Things like that don't happen often, maybe one in 100,000 screenings, but when it does, it's like, holy cow! We know we're making a difference." Niebylski is cautiously optimistic about this year's goal. 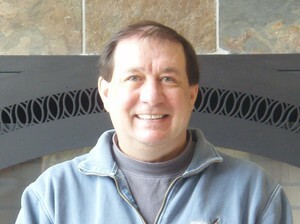 He's been promoting it at various events and publications, plus offering a toolkit through his organization's website. His organization also is planning to light up Niagara Falls red and blue. He's already working on plans for heightening awareness next year, such as having world leaders get their blood pressure screened. "Trying to drive this information to an entire population is a huge challenge," he said. "But you've got to start somewhere. Eventually, we'd love to get 50 million people screened."